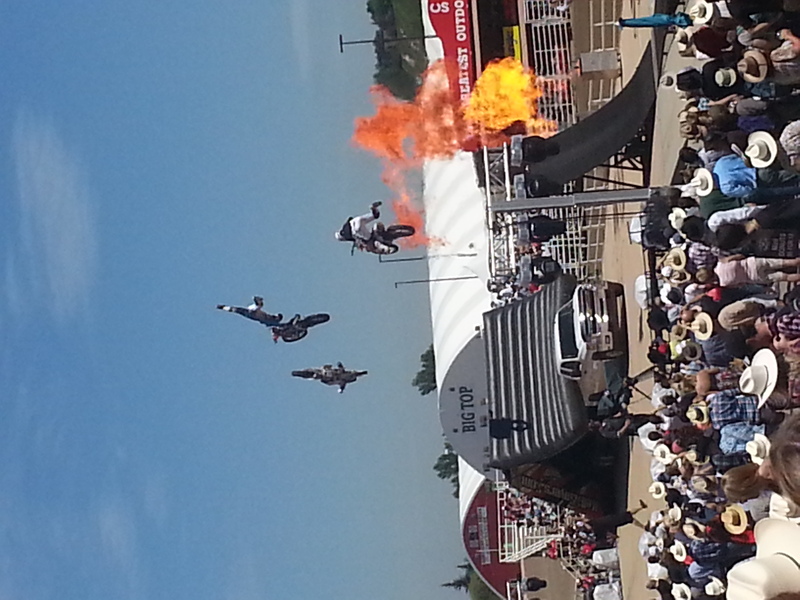 The Calgary Stampede grounds were dry, hot and congested. My first experience with the 2013 Greatest Show on Earth was pleasant and rainy, while this time around I was overheated and brought plenty of of headaches. 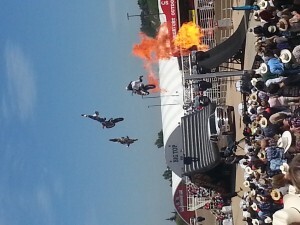 My day started with the rodeo. My friends and I got to our seats and waited for the show to begin. Over the next three hours we watched an amazing performance from the Calgary Stampede band, the BMX pre show and the cowboys and girls. However by the end of the rodeo, we were over heated and in need of shade. As much as I love the rodeo — getting heat stroke is never fun so my friends and I left as soon as we could to the BMO centre to check out what was for sale. I’m not a fan of crowds and getting to the BMO centre was an issue and once we got there, I immediately regretted wanting to go shopping. Even if you managed to get to a booth, you couldn’t move around to look at anything due to the heavy abundance of people. Last time I was at the Stampede, even though it was raining, I could enjoy the entire centre without losing my friends every ten seconds to the massive crowd. After a failed attempt to get into the art gallery, my friends and I decided to get something to eat that wasn’t deep fried. The heat turned us all off from trying the typical meal of artery clogging foods so we just went to the local food trucks located on the grounds. After we ate, we went to check out the Henna tent, again, and was pleasantly surprised it wasn’t busy and being inside a tent for a few minutes was a needed change of scenery. It was 25 degrees out and slowly cooling down around 7:00 pm when we tried to walk around the grounds to find something to do before the concert started at the Coke Stage. The line ups for the beer gardens were ridiculously long and we had enough of being in the sun. I had already tried to walk around the agriculture tent but there were so many children running around my friends and I decided to just grab a coffee and people watch. Overall, I can say I would rather go to the grounds when it’s raining than when it’s a beautiful day out. Yes the rodeo is better when it’s not raining but every aspect of the Stampede on a regular summer’s day is just tiresome and too much to handle in my honest opinion.